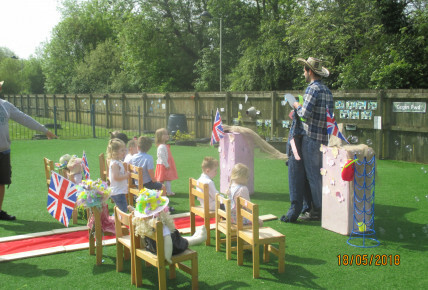 Busy Bees at Bridgend - The Royal Scarecrow Wedding! 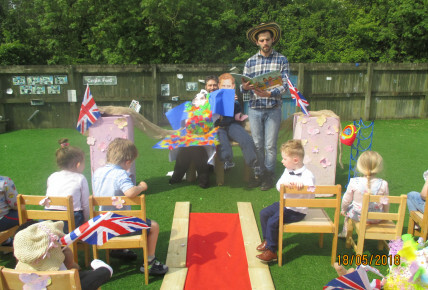 To celebrate the marriage of Prince Harry and Meghan Markle the children reenacted the wedding, by linking in The Scarecrows wedding from the pre-school theme. 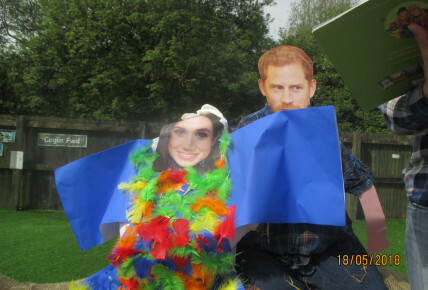 We made our own Scarecrow Harry and Scarecrow Meghan and acted out the wedding in our Pre-school garden. 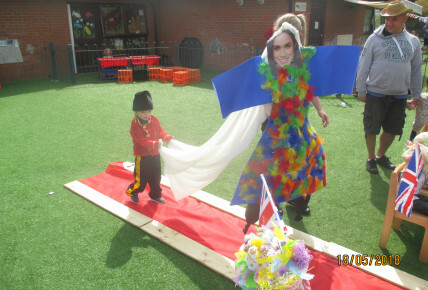 The children dressed up in smart clothes, and we even had our very own royal guard who helped carry the veil. 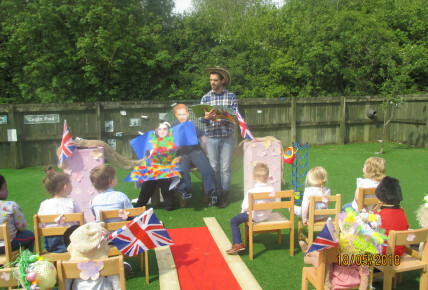 After the wedding the children along with scarecrow Harry and Meghan enjoyed a royal disco and party. 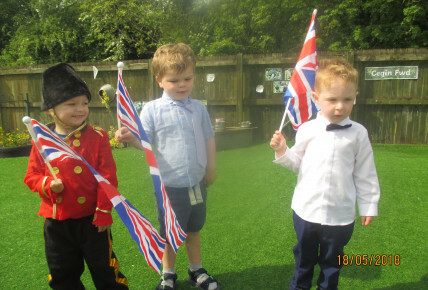 What a great day, Congratulations Prince Harry and Meghan Markle.